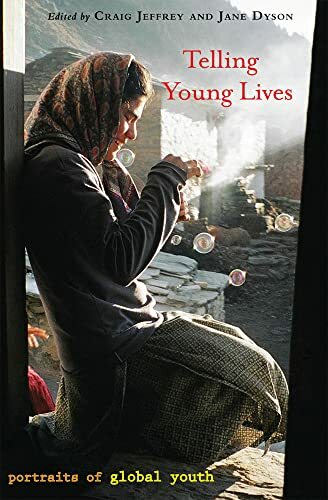 Telling Young Lives presents more than a dozen fascinating, ethnograph-ically informed portraits of young people facing rapid changes in society and politics from different parts of the world. From a young woman engaged in agricultural labor in the High Himalayas to a youth activist based in Tanzania, the distinctive voices from the U.K., India, Germany, Sierra Leone, South Africa and Bosnia Herzegovina, provide insights into the active and creative ways these youths are addressing social and political challenges such as war, hunger and homelessness. Telling Young Lives has great appeal for classroom use in geography courses and makes a welcome contribution to the growing field of “young geographies,” as well as to politics and political geography. Its focus on individual portraits gives readers a fuller, more vivid picture of the ways in which global changes are reshaping the actual experiences and strategies of young people around the world. Craig Jeffrey is Associate Professor in Geography and International Studies, University of Washington. He is the co-author (with Patricia Jeffery and Roger Jeffery) of Degrees Without Freedom? Education, Masculinities and Unemployment in North India. Jane Dyson is Affiliate Assistant Professor at the Jackson School of International Studies, University of Washington.